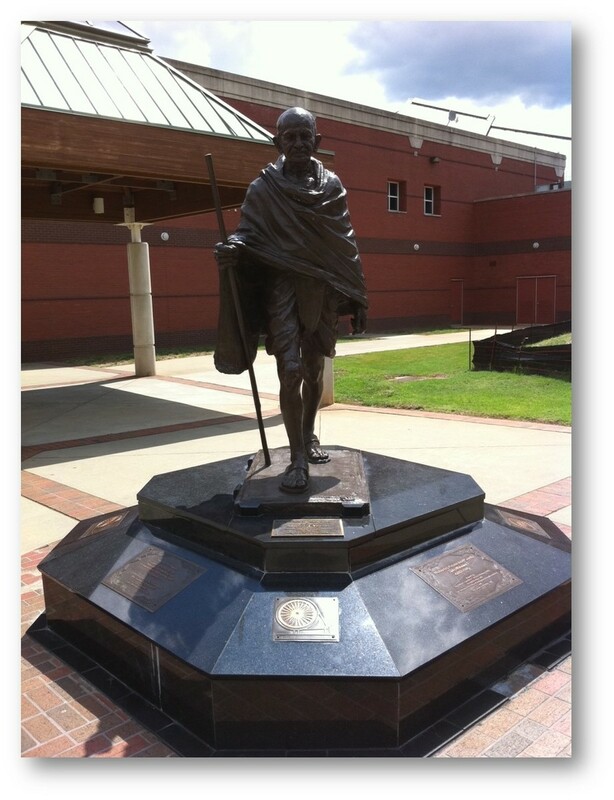 In front of the Martin Luther King Center in Atlanta you’ll find this statue of Mohandas Gandhi. For years I have used a photograph of this statue to introduce our Indian Independence unit to my 7th graders with the prompt “Why is this statue of Gandhi in front of the King Center?” My students are already familiar with the American civil rights movement, and this inquiry was always a great hook to learn about Gandhi’s system of nonviolent civil disobedience, which Dr. King utilized so effectively. I was taken aback. It’s true, Gandhi’s racism toward people of African descent is well documented. He wrote about the black people of South Africa using derogatory terms like “Kaffir” and lamented the indignity of being imprisoned with native Africans. He spoke out against forcing Indians to share the same communities with Africans and condemned the denigration of Indian genes through marriage with black people. - Surely, Dr. King knew about Gandhi’s views. Yet, he chose to ignore these for the sake of what he could accomplish by using Gandhi as a role model. What does that say about Dr. King? Was he selectively ignoring the racism or was his character so strong that he could look past this? - Who “owns” history? Historians who seek to paint the clearest, most accurate record of the past? Or people who use those lessons for their own purposes? - Was my pride in engaging students with history in a way that was easy for them to digest misplaced? Have I been doing them a disservice all these years? So, I’m embracing a new approach. History is messy and needs to be taught that way. Exposing students to all sides of a story gives them a better chance to explore the nuances and form their own opinions. It can also give them a deeper appreciation for figures like Dr. King.